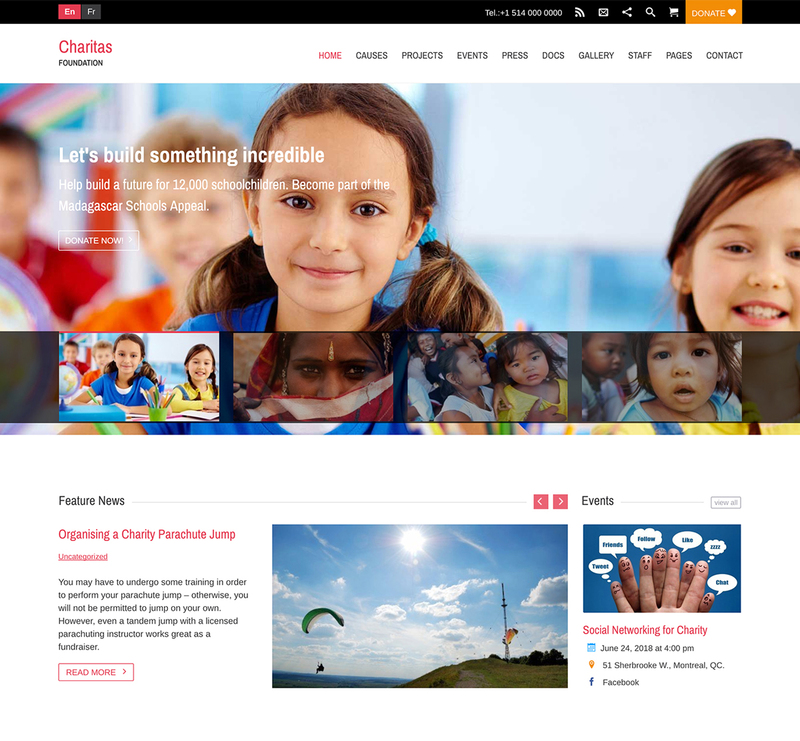 Charitas is an appealing and elegant Nonprofit WordPress Theme suited for Charity and Nonprofit organizations. This feature-packed theme comes with all important features and abundant functionality you might need to build a great website to tell your story. Charitas is loved by developers, designers and used by Charities, NGOs and Nonprofits across the world due to its capability to promote organization’s events, raise funds for a cause, showcase all kinds of documents, and much much more! 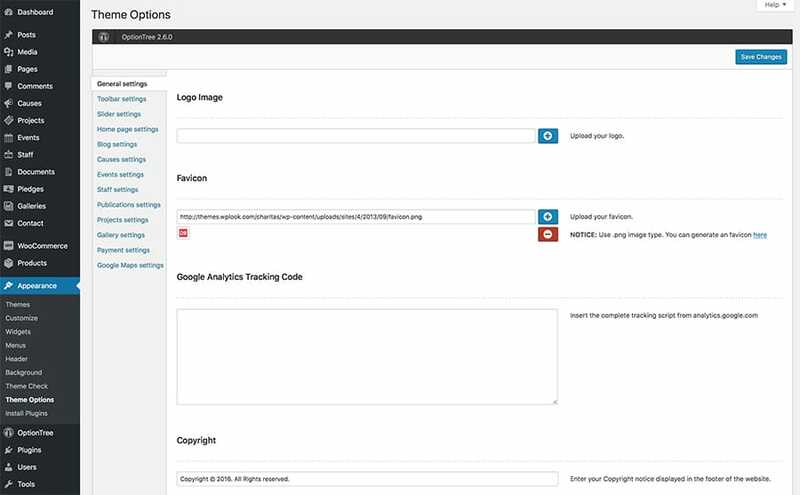 Charitas ships with many amazing features that will enable you to create a unique look and effectively showcase your organization’s work and message to the donors. They can then make contributions for any cause online by simply clicking a button, thanks to PayPal integration. Charitas WordPress Theme is highly flexible and customizable, with 7 Custom Post Types and 18 visually stunning Widget Areas available, and more on the way. The theme is Retina Ready and Fully Responsive, meaning that web visitors will crawl your website without any difficulty on their smartphones, tablets or computers. The great professional design and beautiful gallery in this highly intuitive theme will make your content and messages truly stand out and leave your audience emotionally invested. The donation system is the most important part of any Nonprofit website. With Charitas you can turn your website into a fundraising platform for your charitable projects. The progress bar will be your visual dashboard responsible for monitoring your progress. It will allow you to track your donations and give your real-time updates on how far or close you are to achieving your fundraising target. You will receive an update after each successful transaction. Manual entering of donations is also supported in this inherently flexible theme. Donors and Supporters want to know how their money is spent. Charitas will clearly showcase your present and past projects in a convenient and accessible way, all thanks to its clean and well-balanced layout structure. Make use of the ready-made project list to create an overview of all your ongoing and completed projects. You can add more information on each project on individual pages by including vital info like the status of the project, start and end dates. Remember the more details you include on each page, the more functional and resourceful your web resource becomes. Use this feature if you want to see the number of your donors and supporters skyrocket. Your staff is the backbone of your organization. The Staff section of Charitas WordPress theme will enable you to simply display or create different categories to present and promote your team members. The staff categories include positions like Management, Volunteers and Accounting. For accountability and transparency, add your team’s contact info including email addresses, phone numbers, social media links and blog URLs. Nonprofit Organizations rely on donors’ kindness to operate, but sometimes the financial aid from donors and supporters is not enough to cater to daily operations. Charitas is fully integrated with WooCommerce, the world’s leading eCommerce plugin. 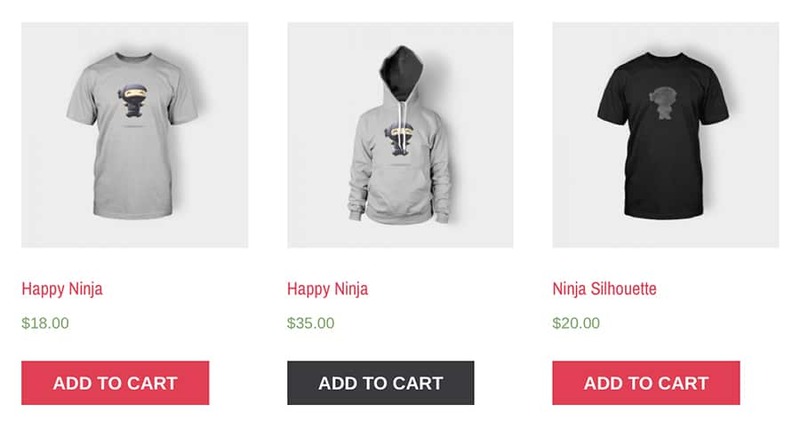 You can easily setup a beautiful and professional store complete With Product Pages, Shopping Cart, and Checkout and begin Selling Physical and Digital Products directly on your website. WooCommerce will help you handle Payments, Shipping and Inventory. You will also receive reports on customers and products. Best Charity websites need the functionality of displaying documents in a way that will make your Charity or Nonprofit stand out in the sea of similar organizations. Charitas has a heavy focus on publishing documents prominently to showcase your day to-day activities for the members and visitors. You have the ability to publish newsletters, annual reports, books, and flyers in a format of your choice (eBooks, PDFs or .zip files). Whatever the format you prefer, your online visitors will be able to download and share the documents with no hassles. Charitas Dashboard Widget is bundled with graphics and charts display to make it easy for you to get all the information you need at a glance. The dashboard presents you with an overall display of donations you have received for a cohesive branding look. Choose between viewing Top Causes, All Causes or Donation Performance Cause. You can customize Charitas to your own needs and specifications, and preview the changes in real time with Advanced Theme-Specific Customization Options. You will have options that give you never-ending possibilities to create a website that will leave a WOW effect on your audience. Charitas is ready to work right out of the box, and it may be exactly what your Nonprofit or Charity organization website desperately needs! Don’t miss out on this resourceful theme, give Charitas a go today! I have a senior dog rescue, and this theme is the best I’ve ever worked with. Clean, simple design, easy for visitors to navigate around the site. Victor’s support is top notch and his response time is impeccable. I’ve suggested his themes to many clients, and they’re happy as well. Clean, nimble and just what my organization needed. You feel very present. I am very happy with your support! Overall a really good theme. Needs some time to get into, but you can customize it in many ways. I used it for a 501(c)(3) organization! My client is happy! By far this is one of the finest themes/templates I have worked with in the time I’ve been developing sites(1993). Good work. Amazing customer support, code quality on point, design suits me perfectly. This really needs a 6 star. Awesome support from victor! I’ve asked him tons of questions and his team always responds and helps me. I may not be very web savvy, but this theme is beyond awesome as well as the support I get from them! Very clean, modern design with many features useful for charity organisations. First rate customer service.